So often during Irish International Immigration Center's (IIIC) suicide prevention workshops, participants try to imagine a world where suicide doesn't exist. Is it really possible? When it comes to other public health concerns like smoking, TB, polio and the flu virus, health services and governments approach each issue with education and practical suggestions, based on medical research, to empower communities to protect themselves and their families, with a lot of success. The IIIC believes a similar approach is needed here, in Massachusetts, in Ireland and around the world to reduce and eventually eliminate suicide in our own community, one step at a time. What does a world without suicide look like? -It is a world where people who are suffering, who are in a great deal of emotional and psychological pain or struggle with addiction, know where to go to help. -Friends and family know the clues of the emotional pain, (behavior, verbal, situational), that can lead to suicide and have phone numbers and websites to connect their loved one to help. -We use language about suicide that clearly sends a message to loved ones that "we don't judge" and will gladly help if asked. -A world without suicide is one that remembers those we have lost to suicide and takes steps to make sure that funds are available to make sure services are there so it doesn't happen again. Step 1: Put these numbers somewhere where they are always in reach! Step 2: Attend one of IIIC's suicide prevention community trainings , where you will learn the key signs that indicate when someone may be considering suicide; and skills to help you ask the question, persuade them to not harm themselves and refer them to the help they need (QPR). Step 3: Register to walk in the "Out of the Darkness" Walk for Suicide Prevention in Brighton on October 12th, join the IIIC team, or sponsor one of our walkers (all funds support the work of the American Foundation for Suicide Prevention – Boston Chapter). 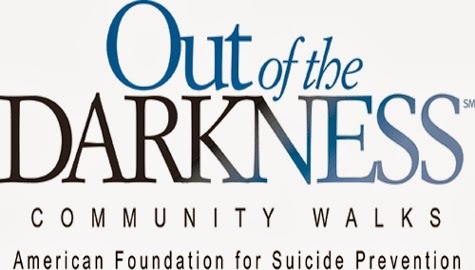 Whether or not you walk, you are invited to attend IIIC’s "Out of the Darkness" Walk for Suicide Prevention Post-Walk Brunch at the Green Briar Pub and Grill. Call Ciara at 617-542-7654 ext. 32 for more information about our Wellness and Education events and workshops. Call Danielle at 617-542-7654 ext.14, if you or someone you know may be considering suicide. A world without suicide is possible, one step at a time. Let us help! IIIC - Together For Hope!